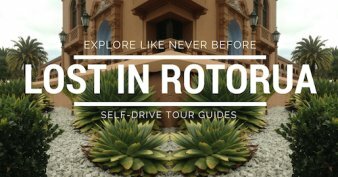 Kia Ora Guided City Walks - The 'olde world' charm of Rotorua's Government Gardens sets the tone for this superb 2hr walk through a small slice of our history. If you're the least bit interested in māori culture and early european history this would have to be one of the Rotorua activities you would look at doing. 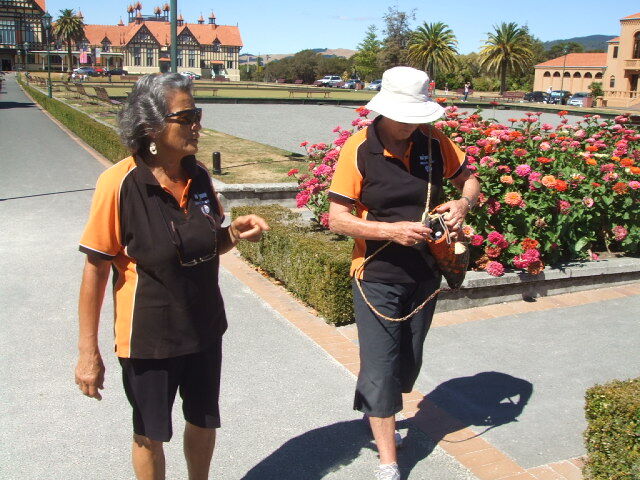 Josie and Gay are the two lovely ladies who take visitors on these walks. They have both grown up absorbing the stories and history of the Te Arawa tribe and love sharing it. They do this voluntarily and Josie is also a volunteer docent (guide) at the Museum. A percentage of the money raised with these Rotorua walks goes into looking after St Faiths Church and the Te Papa i Ouru Trust. One hot summers day I accompanied Josie and Gay to see what our visitors experience. The walk began at the Tourism iSite on Fenton St. We'd no sooner crossed the road than it was right into our first stop and history lesson. Although it was about a couple of buildings I was very familiar with; the Convention Center and Princes Gate Boutique Hotel, there was a lot of information given that I hadn't heard before. 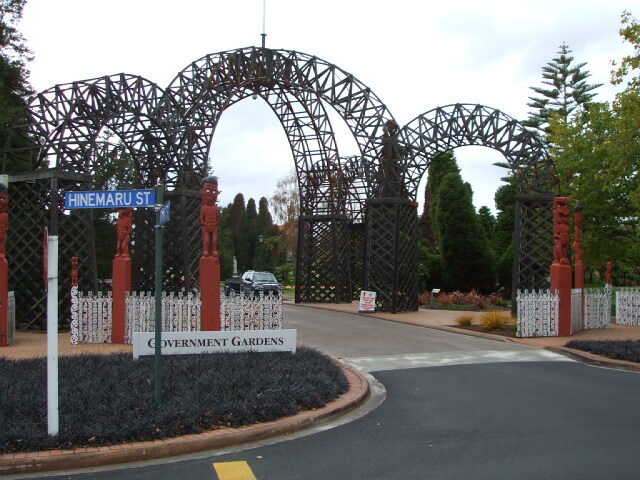 From there it was off to the Government Gardens, located on land gifted to the 'people of the world' by the Ngati Whakaue people. The Prince's Arch and Gateway (pictured below) makes for a spectacular entrance into the gardens. It was originally built in the shape of a crown for an early royal visit. 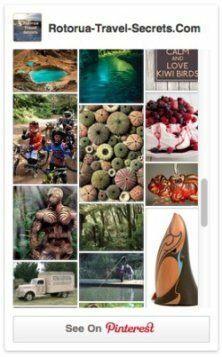 Native timbers; Totara, Rimu and Kauri were originally used and it's the only structure of its kind in New Zealand. 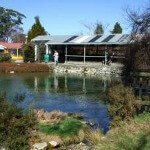 In the gardens are the Runanga tearooms, the Gardener's Cottage, Museum, Blue Baths and we learnt about each one. We heard the stories about the carvings, the battles that took place here (so hard to imagine now), the different geothermal waters and the gardens themselves. Leaving the Gardens behind we made our way through the streets to Pukeroa Hill where our Hospital is located. 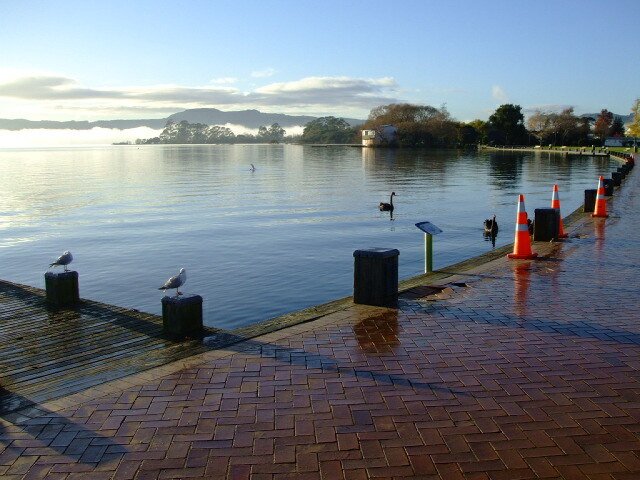 Originally the site of a Pā (fortified village), this land was also gifted to the people of Rotorua by Ngati Whakaue, initially for sports grounds then later the purpose was changed as the need for a hospital arose. Our two ladies had us seeing the landscape as it was in the 1800s and they also vividly brought to life various characters that had lived on this hill. 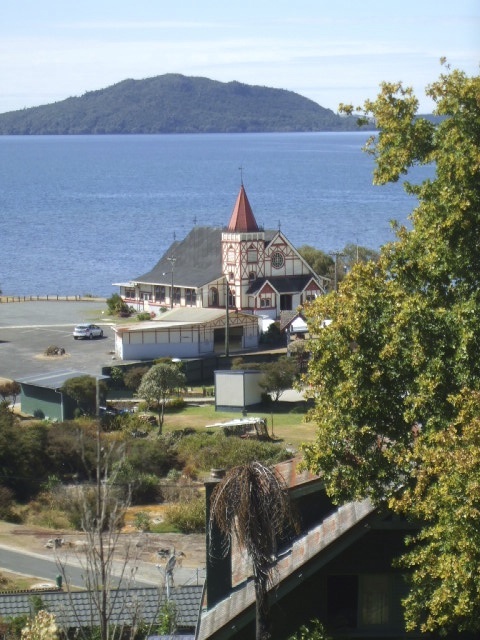 It's a beautiful location overlooking Ohinemutu Village, St Faiths Church and Lake Rotorua, but for the māori people of that time, it was all about the hill being a strategic location. From here you could see an enemy attack coming from miles around. Making our way down the other side of Pukeroa Hill, we crossed the road to enter Ohinemutu, one of the main geothermal areas in Rotorua. If you're thinking of doing this walk I hope you don't mind the smell of sulphur because you get right into the thick of it here. We picked our way through hot pools used for cooking (still), little streams of steaming water, peered into the backyards of village houses and waved hello to the occupants. Perching precariously amongst this bubbling mass of volcanic activity you can only marvel at how the villagers get along with it. Pictured below is one of the springs in the village. It's a soda pool and it's hard to tell from the pic, but the water is actually right up to the white crusty edge near the grass and streaming down to the lake water. That's how clear it is. St Faiths Anglican Church is the next stop in our walk through Ohinemutu. You can read more about it on my Ohinemutu page. I'll just say here that this church is a little gem. 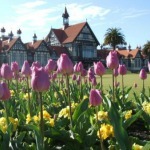 It is vibrant but cosy and blends the best of māori and pakeha (european) artistry extraordinarily well. Outside again and we crossed the marae atea which is the sacred ground in front of the Tama-te-kapua wharenui (meeting house). Josie and Gay regaled us with stories about some of the carvings and it's quite neat how, once things are pointed out, you're able to make the connections. Where once you would view a carving… as a carving… now the ancestors and the stories are all there to see… when you know what you're looking at. We didn't get to go into the meeting house and that's mainly out of respect for the tribe because it is a sacred space. Winding down now it was off along the Rotorua Lakefront taking in the ceremonial Te Arawa waka taua (war canoe), which has been housed on this site since 2007. Now that's another magnificent example of māori carving and visitors just love taking photos of it - and I haven't got one... yet. From here we slowly made our way back to the iSite and I have to say that it was a thoroughly enjoyable walk. Josie and Gay had myself and our other visitor thoroughly entertained. They sprinkle in little personal stories and told us about how they learn from the visitors too and often find connections popping up. It's so much fun when this happens which I've also found with taking visitors through the museum. 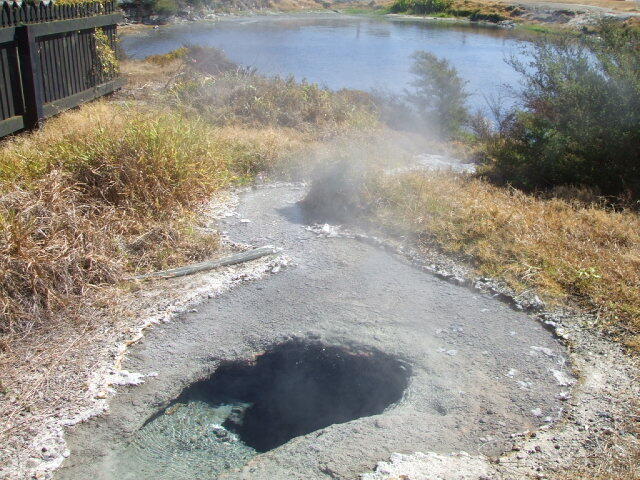 I thought that 2hrs for NZ$30 per adult was very good value for money on this Rotorua walk. And children up to 15yrs with a paying adult are free. Thoroughly recommended for both visitors and locals wanting to learn a bit about our history. 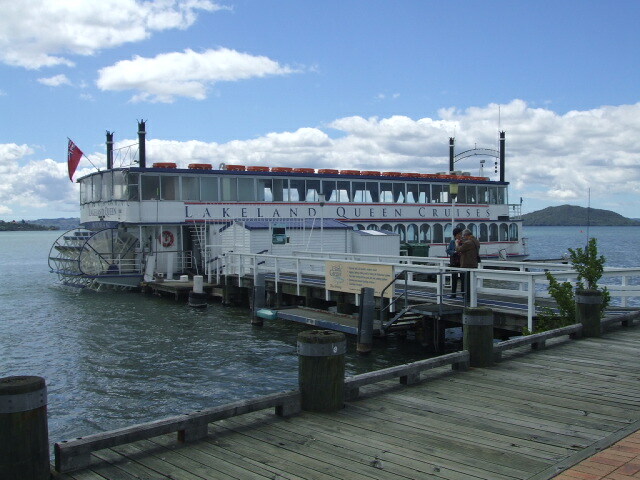 Times: Departs 10am and 2pm daily rain, hail or shine. 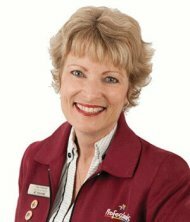 Look to arrive and meet in the iSite reception area 15min prior to leaving. Phone Bookings: +64 7 349 0972 Leave a message and just turn up or you can book through your accommodation or at the iSite. Good To Take With You: Water, nibbles maybe, raincoats, a hat and umbrellas are great for the rain and sun (it burns here).